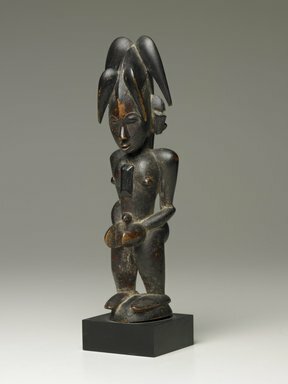 Male figure with elaborate plaited coiffure. Metal eyes; pendant on chest; spatulate hands. Overall condition good. Toes broken off feet. Heavily patinated.